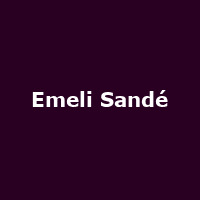 After spending her formative years guesting on other artist's work, it seems only fair that Emeli Sandé gets a chance to stand on her own two feet. As a featured singer, she has appeared on "Diamond Rings" by Chipmunk, "Never Be Your Woman" by Wiley and "Read All About It", a 2011 number 1 single from Professor Green. The interesting thing about all three singles? They've all been successful Top 10 smashes, making the diminutive Aberdeen singer a must-have signing! She's also written songs for Cheryl Cole, Susan Boyle and Leona Lewis (it pays the bills and Simon Cowell seems to like her), as well as continuing to keep one foot in with the rap fraternity. In a busy few days, she's supporting Coldplay at their two O2 arena dates this Thursday and Friday, then playing the T4 Stars of 2011 gig at Earl's Court on Sunday 11th December and a rescheduled date in Dublin the following Tuesday. Tickets are still available at face value (from £29.50) for Friday's 'Under 1 Roof' fund-raising show (other acts include Tinie Tempah and Steve Coogan as Alan Partridge), but Thursday is long-since sold out. Tickets for the T4 night are still available and start from £30. In January, Sandé will headline the Q Now: The Sessions 2012 night on 24th along with another hot singer Michael Kiwanuka - face value tickets are now sold out [don't say we didn't warn you! - Ed], then a month later, re-affirming her "hot-tipped' status, she plays as plays as part of HMV's Next Big Thing 2012 line-up on 9th February. And guess what? Face value tickets for that gig have also now sold out [we warned 'em about that one, too! - Ed]. 2011 has seen Emeli blaze a trail of headlining interest and critical repartee, particularly with her Massive Attack-esque belter, "Heaven" - it's now 'gone silver' - and although the follow up "Daddy" hasn't yet set the world alight (the controversial video probably hasn't helped), it's the anticipation of her debut album that's starting to snowball. "Our Version of Events" will be released in February, probably preceded by another single - but definitely supported by a big tour. Her April tour starts in Norwich on 4th April, with further dates in Leeds, Aberdeen, Liverpool, Glasgow, Manchester, Cardiff, Birmingham and finally London's Shepherds Bush Empire on 16th April. We will have tickets from Friday at 9am, costing £18 for London, £15 elsewhere. With a track record for selling-out shows, don't be surprised if this sells out fast.